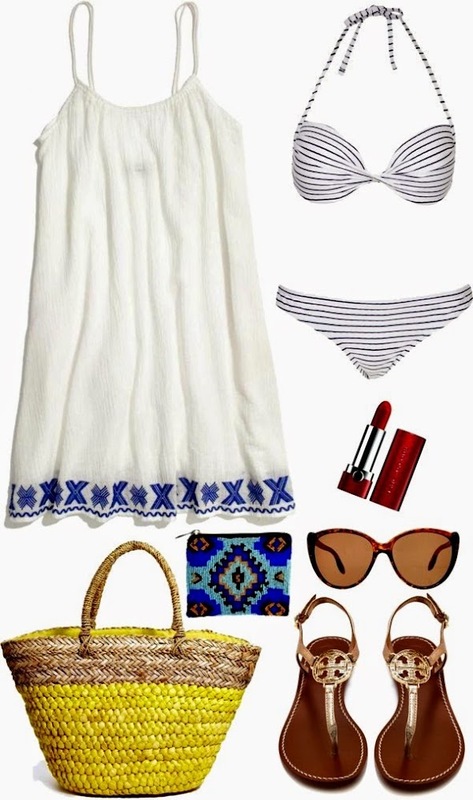 Beach vacations always call for a few key items such as easy dresses, sandals, a swimsuit like this stripe bikini, chic chic sunglasses, and a good straw tote. We are headed to beach for 8 days this Friday. I am so excited that I already have my bags packed. Will you be spending any time at the beach this summer? What are your beach must haves? Gorgeous selection - I'd be happy with all of it! Great beach vacay finds! I don't have one on my calendar yet, but here's hoping I will soon. I would so love to go to the beach right now.